How would you describe your last experience of public speaking? Woeful? A toe-curling horror story? Death by powerpoint? A blank anxious stare? Fear of looking like an idiot seems to be a large part of the emotions stirring in people’s hearts and minds when they step up to speak. For me, stepping up to speak is the very last point in the process. Here are the six stages that I have been using and training clients to use for nearly 30 years. Use these steps every time and you will be on the way to improving your delivery and achieving better results every time. The first three steps involve you asking yourself some questions and using the answers to frame what you are going to say. Step 1 Identify your audience. Who are they? Have they paid to come? What are their expectations? Step 2 What message do you want them to take away from your presentation? You are the only one who can help them fix the issue? You are a person they can trust? Step 3 What role/image are you projecting for this audience? Are you the professional front for your business? Are you a seller of purpose and ideas? This is a check in on your vocal quality and technique, your posture and whether these are enhancing your delivery. Finally the step that most people set as the first and only step for presentations. Now, with all the points you have gathered from Steps 1-4, is when you structure your speech and write it. Yes – this should have an introduction of who you are, why you are there, what you want them to know. This step is crucial. Every presentation must be heard by you before anyone else. The best method, even though it will feel weird, is to practice in front of the mirror. This is NOT just reading the speech. It is about knowing the speech and the content so well that notes are just to keep you on track. 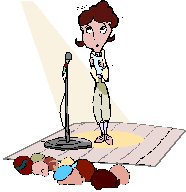 There you have it, dear readers, six essential steps on your path to confident public speaking. Any questions or comments I will be glad to hear them. Chief Word Polisher in Paper and Voice.